Here’s the first manicure using polishes from the new BioSculpture Rock and Crystal nail collection. It’s called Art Nouveau because these two colours, Amethyst Moonstone and Totally Topaz, when put together remind us of the paintings of Alphonse Mucha. Though for the nails, rather than trying to recreate the artworks precisely we did a more modern (and easier!) 3D nail design. You can find a quick how-to at the end of this article or learn each of the techniques (creating patterns with striping tape & applying studs) in detail from our book. As for the polishes, if you’ve been following this blog for a while, you know we’re big fans of BioSculpture. 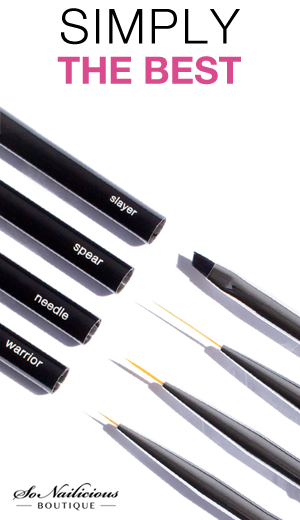 It’s rare to find a brand that ticks all the boxes – great formula, great brush, beautiful color palette and easy to work with. It’s particularly good for striping tape nail art because it dries fast and covers your nails evenly resulting in a perfectly smooth surface. 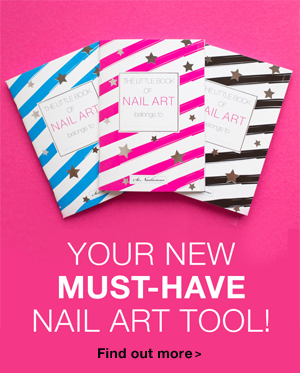 Part of the the secret of these polishes perfect formula must be that they are created by nail professionals for nail professionals. That’s also their only pitfall, at the moment these polishes are only available at BioSculpture nail salons. If you can get a hold on some BioSculpture polishes, I highly recommend them, they’ll soon become your favorites too. 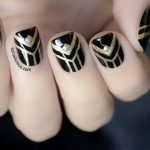 Scroll down to read the Art Nouveau nails how to! Paint 3 coats of Totally Topaz #140 on all nails and let it dry. 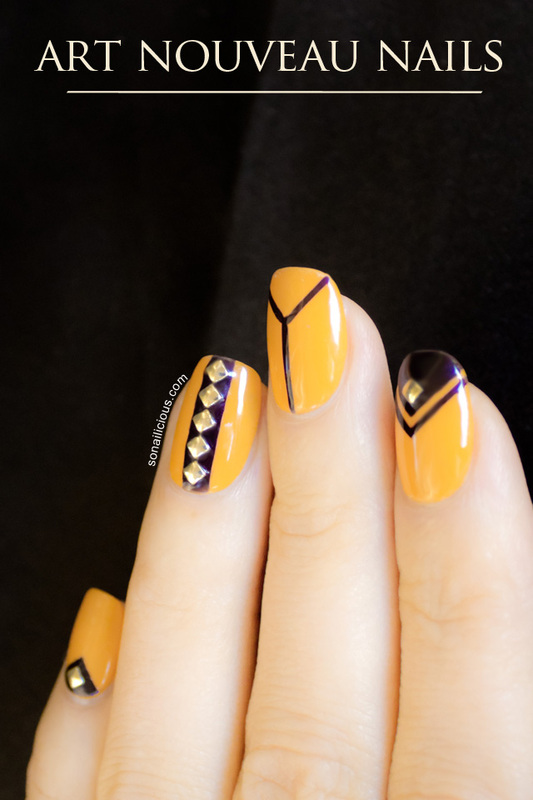 Using striping tape create the pattern on each nail and paint over with Amethyst Moonstone #139. Remove striping tape. 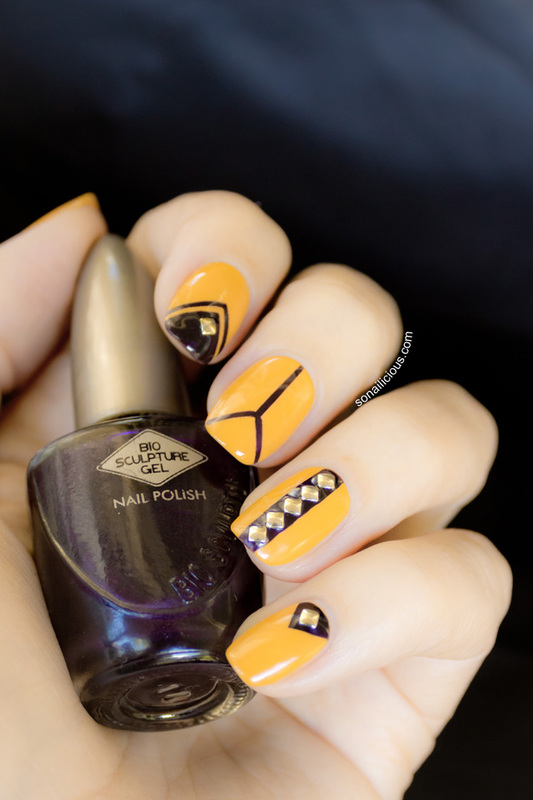 Apply studs and seal your nail art with a generous layer or three of top coat. Disclosure: Products were provided PR/brand for our consideration. Opinions expressed are our own. Full disclosure policy here. 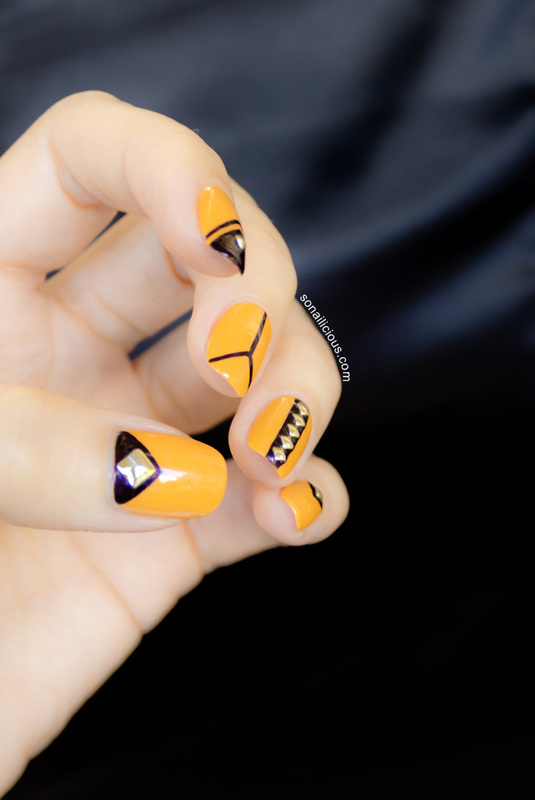 For more nailspiration see our Nail Art section. 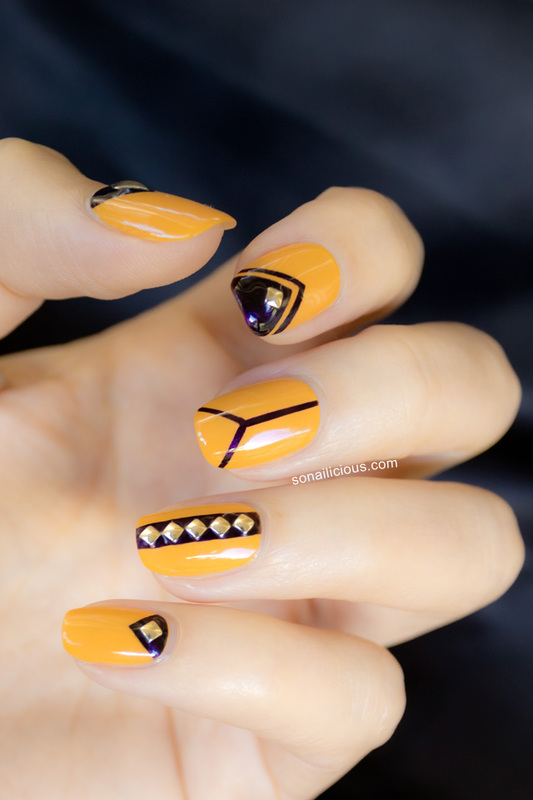 If you want to learn how to do studded nails get our 30 Easy Nail Designs & Tutorials e-book.